Mrs Hembree decided that Pig the Pug would be perfect for her Year 3 students. 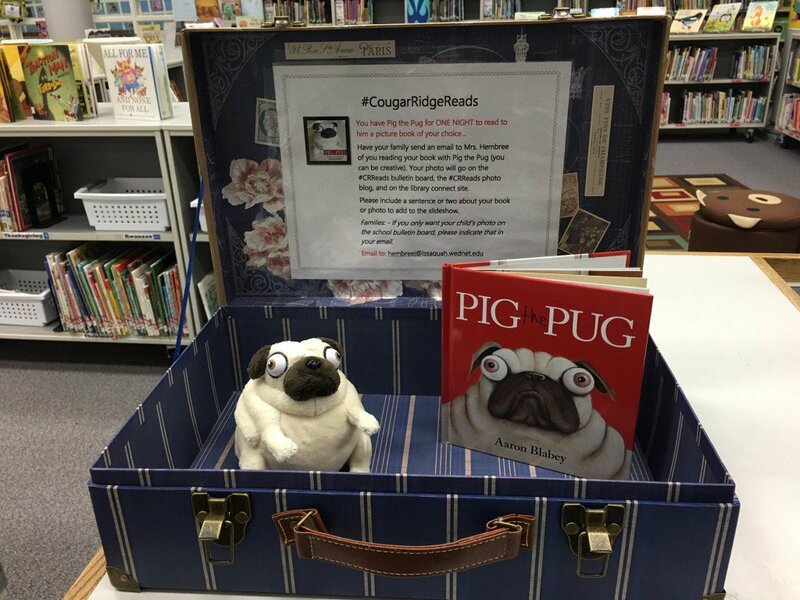 She bought a suitcase for their Pig the Pug to travel home in each night and set up guidelines like ours for her students to ensure Pig the Pug enjoys a story is and returned each day. I was SO excited when I returned home to Melbourne to see that the Year 3 students have started #CougarRidgeReads with Pig the Pug! 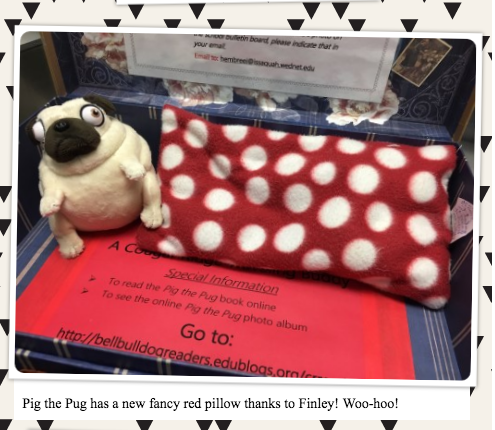 Click HERE to see what Pig the Pug is reading with the Year 3 students and then scroll down to see their photos. and he is enjoying listening to lots of stories with his new American friends…. 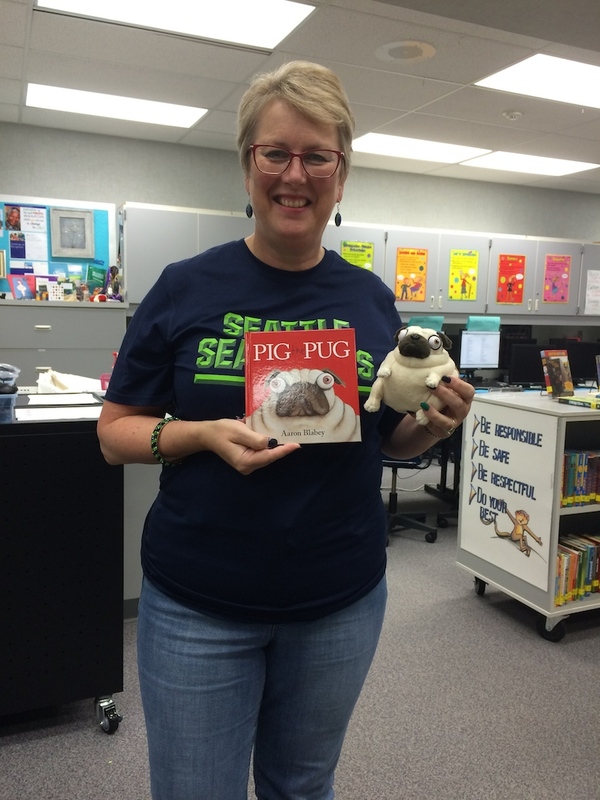 It makes my teacher librarian heart sing to see students in Melbourne, Australia and Seattle, WA having fun reading to Pig the Pug and sharing their books online at #ReadingIsFun and #CRReads. Thank you Mrs Hembree and Year 3 for joining in…happy reading! This entry was posted in Uncategorized and tagged #ReadingIsFun, Books, Reading by smotlrcblog. Bookmark the permalink. Our students and parents are having a fantastic time with Pig the Pug! He’s read with many dogs, had hot cocoa for breakfast and read lots and lots of stories! 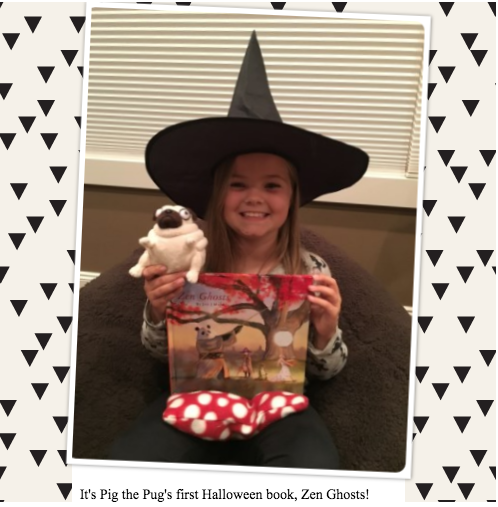 I was so happy to read that Pig the Pug is having an amazing time with his new friends. Am pretty sure from reading your post he is getting looked after better than the queen. What’s even more special is he is receiving gifts. Now that is one very, very special pug. Thank you and Mrs Hembree for sharing Pig the Pug’s special adventures. I’m thrilled that Pig the Pug is now helping to make reading fun in two schools! He is becoming a ‘Reading Rock Star’. I’m enjoying seeing the books being read to him by the students at Mrs Hembree’s library.